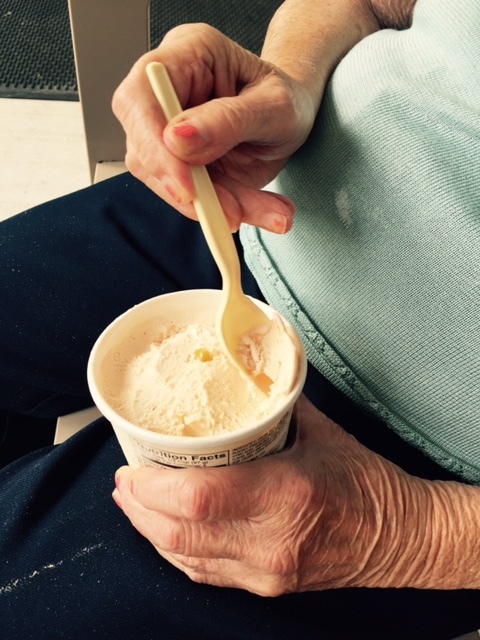 #NeverForget Ice Cream – Find You in the Sun – A daughter's slow waltz with her mother's dementia. for asking her to move, to walk. Red, yellow, orange, green, blue. and say girl, not son. I am here at all. with black lives that matter. is all I can feel. wouldn’t that be the thing? We all offer context for lives we are leading. We all offer reasons for ones we are not. and scoops milk into her mouth. has brought the ice cream. no one else can touch. AJW 7/2016 – This poem was written shortly following the shootings of two black men, at the hands of police, and also following the deaths of five police officers, in retaliation. I followed my heart, to my mother’s. Annette, this is so beautiful. Just found you on Twitter & am so glad I did. You have such a gift with words.